Medical Malpractice insurance is not a commodity. It is important that when choosing a company for your practice, that you do your homework. Without the right coverage in place, you could potentially be forced to close your practice. At Gould, we understand the complexities associated with this complicated line of insurance and will endeavor to analyze your line of practice and give you an assessment of the options available to you. We make sure that our client’s interest is first. With over 100 years of experience in the field, we are not concerned about selling you an insurance product, we are more concerned about helping you to continue your practice. With extensive knowledge and expertise in the Central Florida community, we are able to discuss your risks and tailor a policy that is right for you. 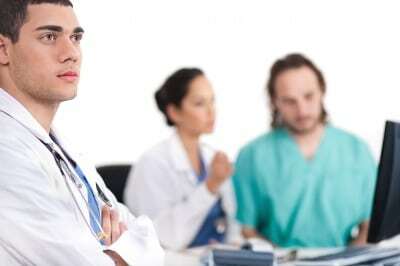 To learn more about our medical malpractice insurance options click here. Since 1907 Gould has served the business insurance needs of Central Florida residents. Click here to find out more about our commercial insurance options. Happily serving the Commercial Insurance needs of DeLand, DeBary, Orange City, Deltona, Lake Helen, Sanford, Port Orange, Orlando, Lake Mary, Tallahassee, Jacksonville, Ponce Inlet, Volusia, Flagler, Lake, Seminoly, and Marion Counties.